- Zack Ryder had a very popular YouTube show and there was a lot of momentum going his way with the Z True Long Island Stories, but the show is no more. Z True Long Island Stories bit the dust after 50 episodes but there are fans who still want a return. “Are you glad you let WWE take over your YouTube channel?” RKO tweeted out. It will be interesting to see if Edge and Christian ask this question because Ryder might have a very entertaining answer. 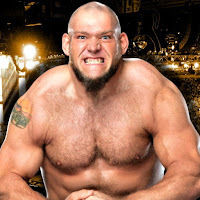 - Below is a quote from WWE NXT Superstar Lars Sullivan on his upcoming call-up to the main roster. The Freak says it doesn't matter which brand he chooses to go to, because he will wreak havoc like we've never seen. WWE's storyline is that SmackDown Commissioner Shane McMahon and RAW Commissioner Stephanie McMahon are both trying to sign the big man from NXT.